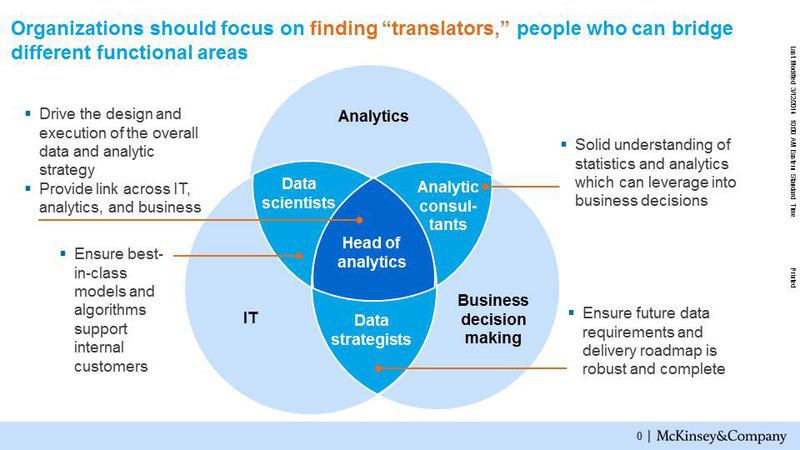 Do you know why we need data scientists? its because of the great importance of revealing insightful information about very huge data sets which might not have meaning before its cleaned, visualized and made to really give a descriptive inference of the data. 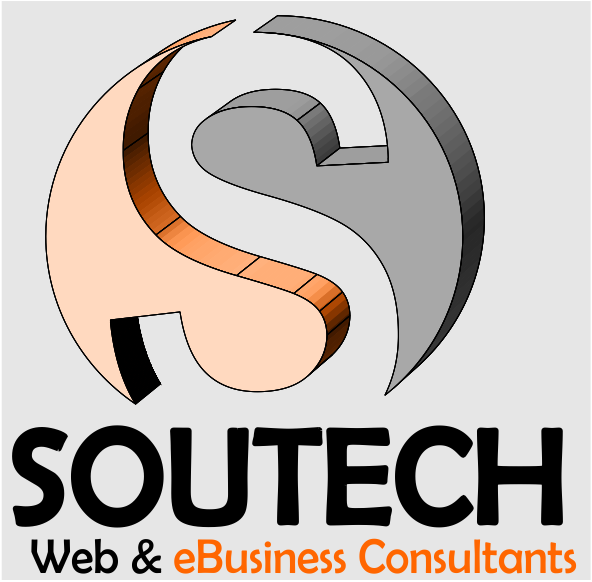 Also data science has its application in many fields like accounting, law, medicine and in many other fields. Your car insurance costs less if you pay your bill on time. That’s because insurance industry data scientists found that people that pay bills promptly are less likely to be in accidents. How did they even think to ask that question? How did they accumulate the accident data and compare it to the billing information to establish the correlation? What other revelations are buried in those numbers? Still, it’s not the mysteries they unveil so much as that process itself that defines the field of data science. 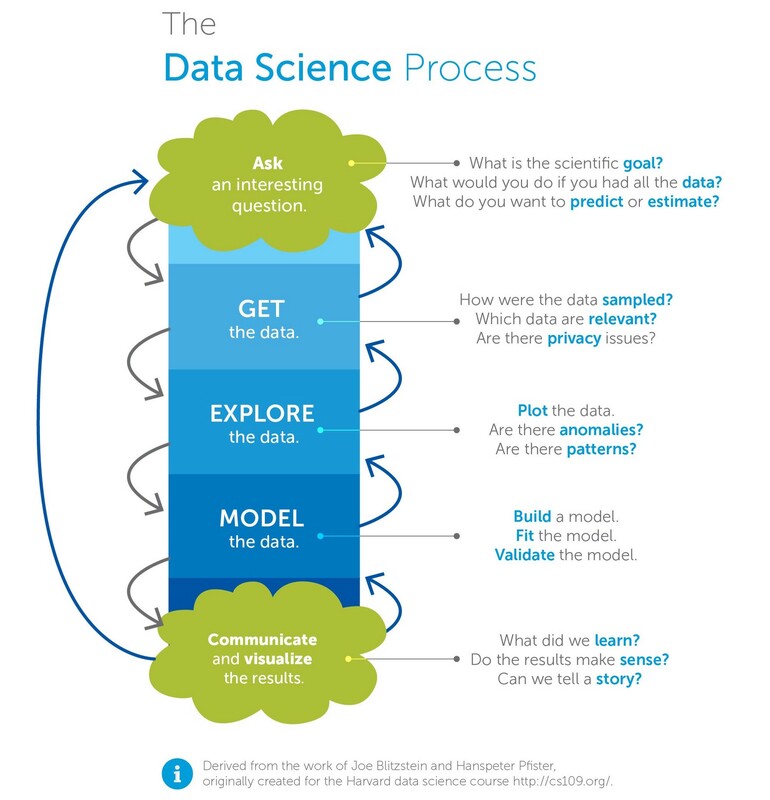 But while those three steps provide a high-level overview of what data scientists do on a daily basis, there’s still a lot of mystery when it comes to the details of the process. 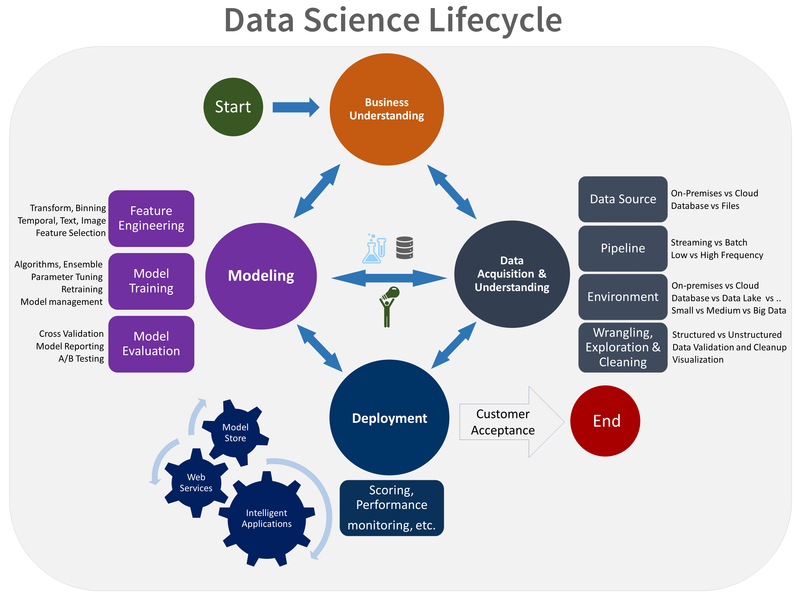 The data science process is a recursive one; arriving at the end will take a good data scientist back to the beginning again to refine each of the steps based on the information they uncovered. But each round begins with a question. Whether it originates in the mind of the investigating data scientist or as a request from other parties, every inquiry starts as a question to be answered. Is there a business goal to achieve? Some object of scientific interest that would be helpful to discover? What parameters would the ideal answer fulfill? In many cases, data scientists work with existing data sets collected in the course of other investigations. But the way that data is gathered and stored can limit the questions that may be answered from it and relevant data is not always immediately available. Contact 08034121380 to speak with a course adviser now! Even the best designed data collection system will result in some quirks and oddities in the data as it actually becomes available– typos, falsification, or frequently misunderstood questions on badly designed forms can all present data sets that are less than factual. Caused by the collection process itself, or do they reflect the topic of investigation? Possible to correct, or do they require a new collection scheme? Either due to anomalies found in step 3 or just the general and common necessity of cleaning up messy raw data, the data scientist will have to “wrangle” it before moving further into the modeling process. Also known as “munging” this hard-to-define step is one of the ways that data scientists make the magic happen—bringing skills and intuition to bear to take messy, incoherent information and shuffle it into clean, accessible sets. Interactive, allowing users to explore directly? The process is rarely linear. Each step can push a data scientist back to previous steps before reaching the end of the process, forcing them to revisit their methods, techniques, or even to reconsider whether or not the original question was the right one in the first place. And, having finally come to a definitive result, the data scientist will almost always find that the answer simply sparks more questions: the process begins again! Has your account just been hacked? Wondering what to do next?